Want to satisfy your tastebuds, travel to Italy and discover new flavours during lunch break? Head to Strato and let the talented team spoil you with their delicious creations. Bravo! 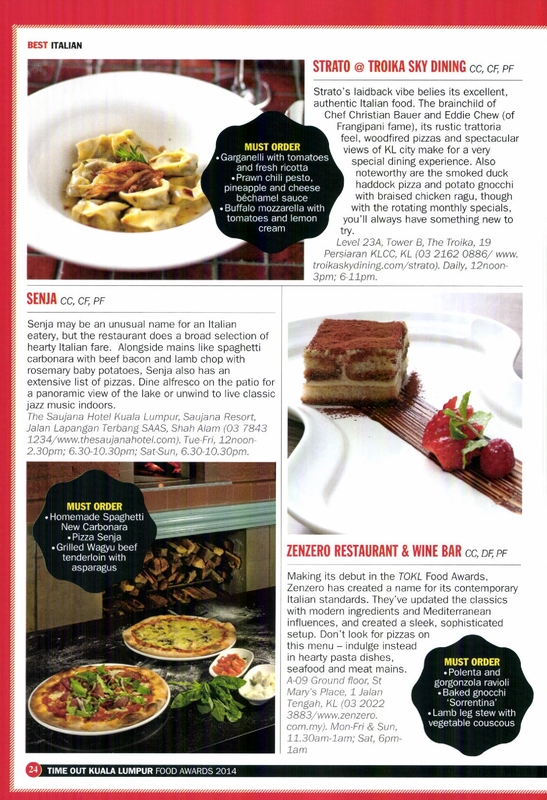 With its conscious move away from commercialised dining, it's no surprise that Strato has earned accolades in Malaysia's gastronomic landscape for its authentic approach to Italian cuisine. Strato, in the beautiful surrounds of Troika Sky Dining, is the perfect place for a relaxed but excellent meal. In incredibly close proximity of Claret one of the finest wine bars around, no date is a potentially awkward one here with stunning views and an after dinner spot to adjourn to. From pastas to pizzas, feel loved this season at Strato, an Italian fine dining restaurant which never forgets its roots as the food prepared here is deliciously homemade and refreshingly different with the spirit of mama's cooking shown in every dish. The food at Strato is simple and tasty, while honouring the fresh produces that form the backbone of Italian cuisine at the same time. 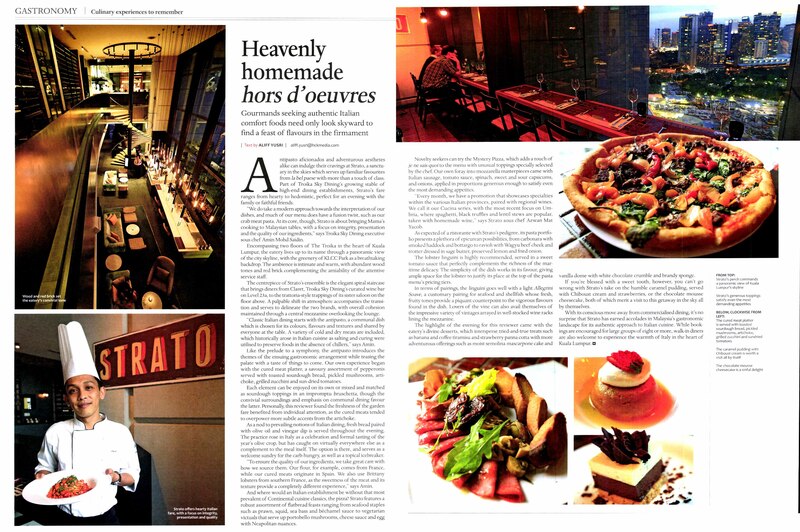 Strato's laidback vibe belies its excellent, authentic Italian food. The brainchild of Chef Christian Bauer and Eddie Chew, its rustic trattoria feel, woodfired pizzas and spectacular views of KL city make for a very special dining experience.